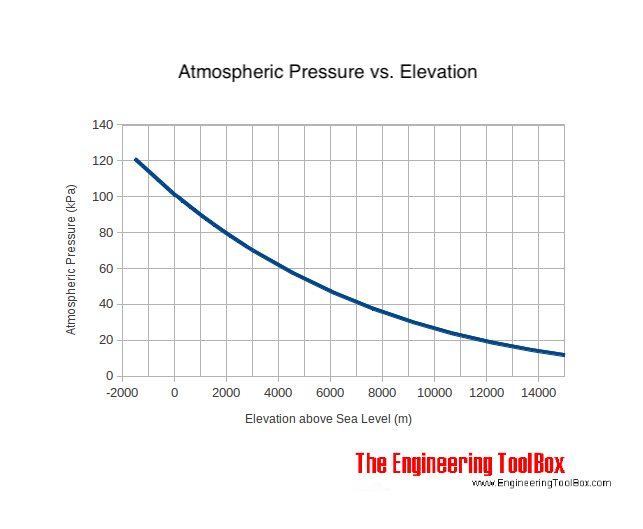 The table below indicates air pressure at elevations below and above sea level. Engineering ToolBox, (2003). Altitude above Sea Level and Air Pressure. [online] Available at: https://www.engineeringtoolbox.com/air-altitude-pressure-d_462.html [Accessed Day Mo. Year].